When a shareholder of a corporation believes that he or she has been wronged, the shareholder generally has two options to file a lawsuit. The shareholder may either bring a direct action or a derivative action, depending on the facts of the case. In many instances, it is only appropriate for the shareholder to bring one of these two types of actions against the company. Below is a general explanation of how a corporation is set up, and a discussion of the differences between the two types of shareholder actions. Let’s say that you decide to open a lemonade stand by yourself as a simple business. 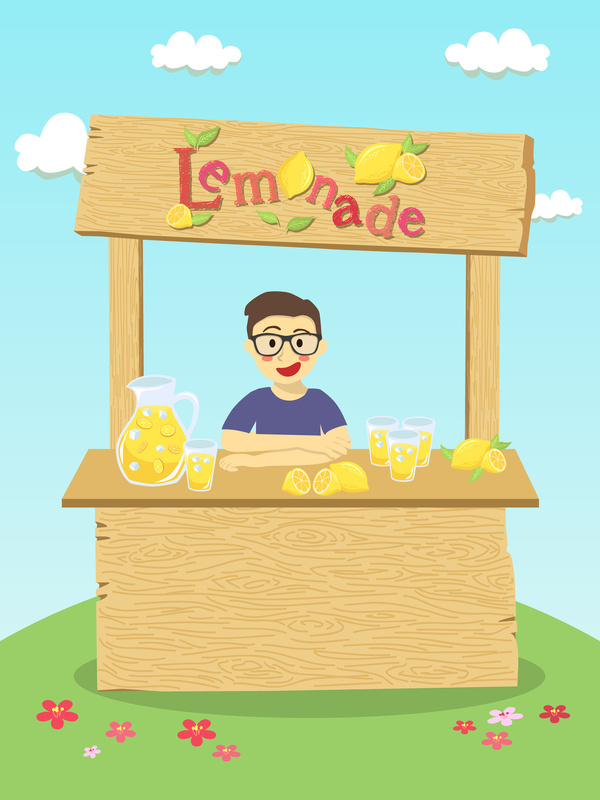 In a simple business, you would own the lemonade stand. If the lemonade stand did well, you would make more money, and if it did badly, you would not. In addition to being the owner, you would also run the lemonade stand. 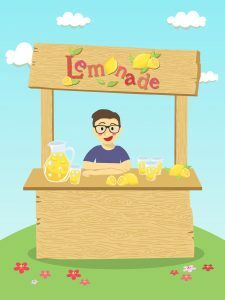 You would make day-to-day decisions about the lemonade stand, like how where to order to the lemons from, what equipment to use, and how much customers should pay for the lemonade. To sum up, you alone would both own and run everything. Things are pretty simple with your lemonade stand, but let’s pretend now that you decide to make your lemonade stand a corporation. Here’s how things might change. First, let’s say you decide you want to invite a bunch of your friends to own the lemonade stand with you so you can put more money into it. So, you invite a bunch of your friends to buy parts of your new lemonade corporation. Each one of your friends would be called a “shareholder,” and each shareholder would own a part of the lemonade stand. If the lemonade stand did well, the value of shares would go up. If it did badly, the share value would go down. You and your friends own the lemonade stand as shareholders, but who runs it? This is where corporations are very different from simple businesses. In corporations, the shareholders do not run the company. Instead, the shareholders elect a “board of directors” to make decisions about the company. In your lemonade stand, you and your friends would get together and vote on who you all wanted to be “directors” for the board of your lemonade stand. The directors of your lemonade stand would make big decisions about the company, but they still would not be involved in the day-to-day running of things. That would be too much work for a large committee like a board of directors to handle. Instead, the board would hold its own elections to vote on who the “officers” of the lemonade stand should be. The officers would make run the lemonade stand day-to-day. As you can see, there is a big difference here between the way things were when your lemonade stand was a simple business and how things are now that your lemonade stand is a corporation. Back when it was a simple business, you were the owner of the lemonade stand and also made all the decisions about it. Now, the people who own the lemonade stand are different from the people who are running it. This is an important distinction in understanding the different types of shareholder actions. Now that we understand how corporations are organized, we can move to discussing shareholder lawsuits. As discussed above, there are two general types of lawsuits that a shareholder can bring if he or she believes he or she has been treated wrong. These are (1) direct actions and (2) derivative actions. The main difference between the two is who is actually harmed by the bad behavior. If shareholder is harmed directly, then a direct action may be appropriate. However, if the board or officers have acted in a way that has hurt the corporation itself, then a derivative action may be appropriate. Direct Actions. A shareholder should bring a direct action when he or she believes that that the corporation has acted in such a way that has hurt the shareholder as an individual. For instance, to go back to our lemonade stand example, if the directors or officers were supposed to make a payment to shareholders because the lemonade stand was doing well, but they never made the payment, then a direct action may be appropriate. Another example would be if the directors or officers did not honor the shareholders’ votes for board members. In both of these examples, shareholders are directly hurt, so a direct action may be appropriate. Derivative Actions. A shareholder should bring a derivative action when he or she believes that the directors or officers have acted in such a way that has injured the corporation itself—as opposed to the shareholder directly. In a derivative action, a shareholder can be thought of as a watchdog that looks out for the corporation’s best interest when those who actually run the corporation have not. In our lemonade stand example, a derivative action may be appropriate when the directors and officers have made very bad decisions which have caused the value of the lemonade’s shares to go down. Or, if the directors and officers have not looked out for the lemonade’s stands best interests, it may be appropriate for a shareholder to bring a derivative suit. In both of these examples, the lemonade stand itself has been hurt, not the shareholders directly—although the shareholders may have been hurt indirectly, like by having the value of their shares go down. For this reason, it may be appropriate for the shareholders to bring a lawsuit to stick up for the lemonade stand. There is another wrinkle to derivative actions that may seem strange upon first glance. As discussed above, a shareholder usually brings a derivative action on behalf of the corporation to look out for the corporation when the people running it have not. If the derivative action is a success, the corporation will recover—not the shareholder—although the shareholder might see some benefit like the value of the shares going up. However, the law is a bit weird with how the case is named. Even though the shareholder is only bringing the lawsuit on behalf of the corporation, he or she will be named as the plaintiff in the case—not the corporation. And even though the people who acted badly are actually the board and the directors, the corporation will be named as the defendant. Do not let this odd way of naming the case confuse you. Although a shareholder is named as a plaintiff on the case and the corporation is named as a defendant, the corporation is actually what will benefit directly from a victory, although shareholders may see some indirect benefits like having the value of their shares go up. As you can see, corporate organization and shareholder lawsuits are very complicated subjects. It is important to find experienced attorneys to help if you believe you are a shareholder who has been wronged or a corporation who is a facing a shareholder lawsuit. If you are looking for the help of an experienced attorney, please contact our experienced business lawyers at Structure Law Group, LLP at (408) 441-7500 or email us today.